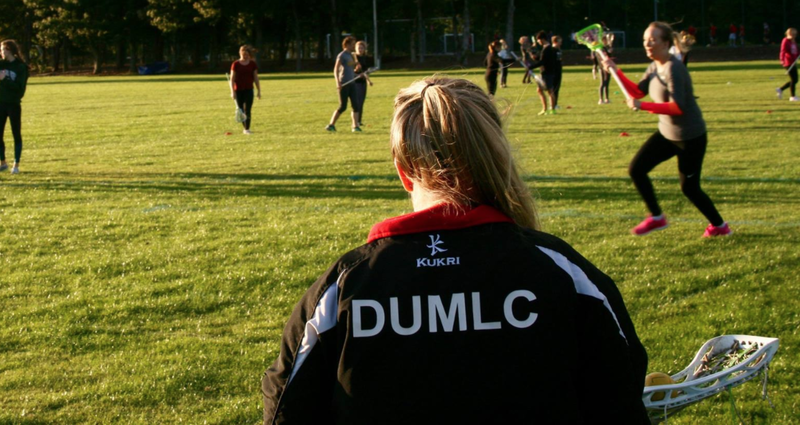 DUMLC is a club which has inclusion and enjoyment at its heart, both on and off the pitch. After every outdoor training session, we travel to our sponsor for drinks and free food. We regularly have socials, which include both drinking and non-drinking socials. The club aims to have a themed social night out every month with smaller groups of the club going out more frequently as well as having nights in such as bring a dish and film nights. The club as a whole has recently attained “Most Improved Club of the Year” and has held differing levels of accreditation each year including gold as well as various individuals obtaining blues, colours and merits for their achievements and commitment within the club. As a club we excel in including all skill levels as well as offering an outlet for both competitive and more recreational members. Due to consistently high membership numbers over recent years we are looking to have a 1sts team and a rec team or something similar. Our avid social media and presence in campus events is another strength of ours which aids in member recruitment and inclusion. We also aim to increase our public engagement each year by appearing in sporting sections of the local newspaper and volunteering at schools and charities.